Phil Ivey was not around for some time and this made many of his fans sad. However, he decided to return to the world of poker and show what a true legend he really is. Of course, this made his fans more than happy, but Borgata is definitely happier as they are looking to collect the money which the court stated Ivey owns this casino. He reportedly made the $10.1 million debt back in December 2016. Ivey was a part of the two battles that were led in the court regarding the edge-sorting winnings in baccarat that happened at Borgata casino in Atlantic City, and regarding punto banco which happened at Crockfords Club in the United Kingdom. 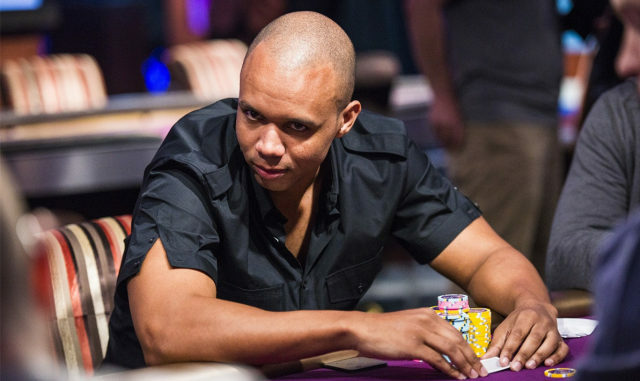 The courts decided in favor of both the casinos and they stated that the actions of Phil Ivey and his friend Cheung Yin “Kelly” Sun are categorized as cheating since they had a great advantage by edge-sorting. Ivey tried for a couple of times to make things in his favor, but it was all in vain. When it comes to the Crockford case, the casino decided to withhold the winnings that Ivey managed to rack up and the court stated that their actions were completely justified. However, when it comes to Borgata, Ivey and his partner walked out with $9.6 million just from playing Baccarat, and a few dollars also came from playing craps. It is the amount of money that the court decided Ivey and his friend should return to the casino in order to even the things out and return everything to the way it was before their famous Borgata gambling session. Ivey hired a legal team which has been successful in postponing the payments to the Borgata casino. However, their recent attempts to do so have been faced with a great opposition from the casino. The lawyers filed a motion during July and their goal was to postpone the payment once again since the amount of money that had to be returned would have a great negative impact on Ivey and his friend. They also said that the casino which is as big as Borgata would not be impaired if the payment was delayed once again. Ivey is in trouble, there is no doubt about it. However, his poker career seems to be very well. In fact, after playing his last event in 2016, he returned in May 2018 by playing Triton Poker Super High Roller Series Montenegro. There, he managed to win the HK$250K No Limit Hold’em Short Deck Ante Only and win a nice sum of $604,992. Furthermore, he also won the third place in HK$1 million No Limit Hold’em Short Deck Ante Only and won $1,66,480. After Montenegro, Ivey went on playing full WSOP schedule, participating in events with various buy-ins.